Mitsubishi Motors Australia has unveiled an integrated campaign that shines a light on the advanced technology and safety systems now available across its range of SUVs. 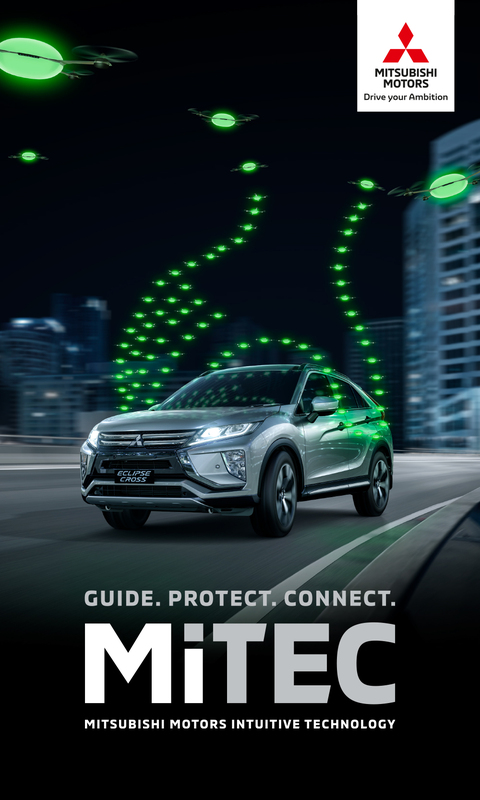 Created by indy agency Richards Rose for Mitsubishi’s new sub-brand Mitsubishi Motors Intuitive Technology (MiTEC), the concept demonstrates the intuitive nature of these innovations and makes them feel more human as they guide, protect and connect with a driver. Produced by AIRBAG, the launch spot sees a squadron of mini-drones flying in formation above an SUV, then surging ahead when needed to create everyday emoji-like gestures for a safe, more confident and enjoyable driving experience. Featuring prominently across broadcast, out of home (see below), high-traffic digital sites, print and dealerships, the campaign will roll out further with a comprehensive suite of 11 content videos housed on the Mitsubishi website. Darrell Jacobs, head of marketing communications at Mitsubishi Motors Australia, said: “Innovation has become a part of our everyday drive, and today’s generation of drivers are demanding it. Adam Rose, executive creative director and founding partner of Richards Rose, said: “Many people are surprised to discover how many features come standard in a Mitsubishi. However, explaining technology or safety systems can often come across as cold or complex.